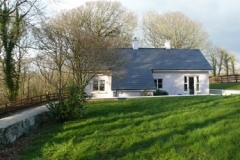 This elfin cottage cloistered above the woods – just one of three – on an historic Tay valley demesne, introduces unique opportunities for exploring the beaches and headlands of Ireland’s Copper Coast, hill-walking in the Comeragh Mountains, or just rambling around a magnificent estate. 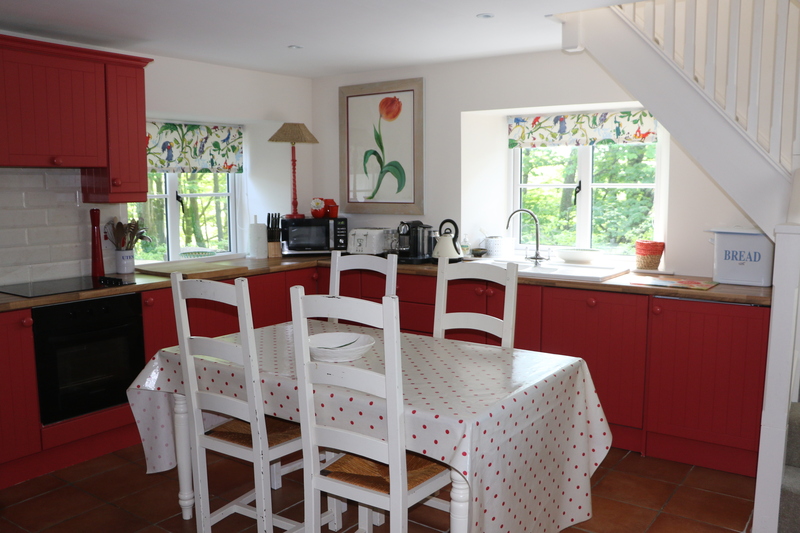 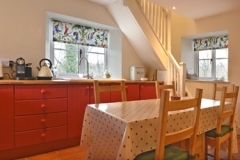 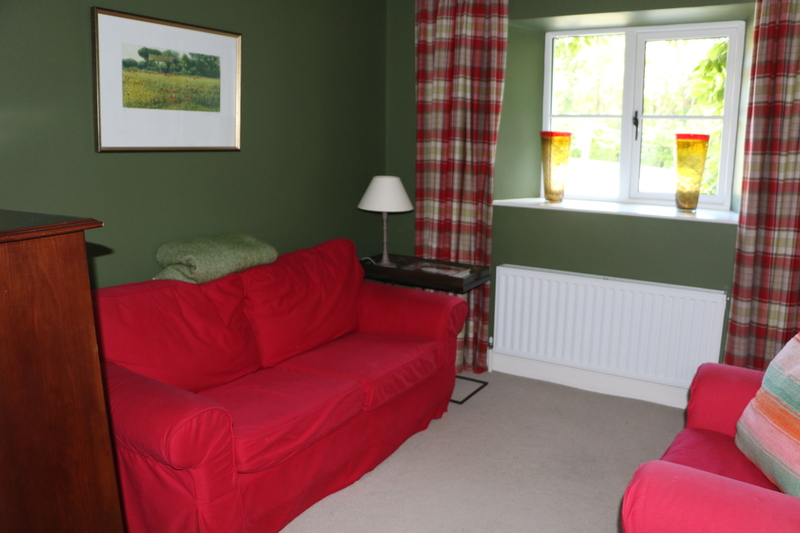 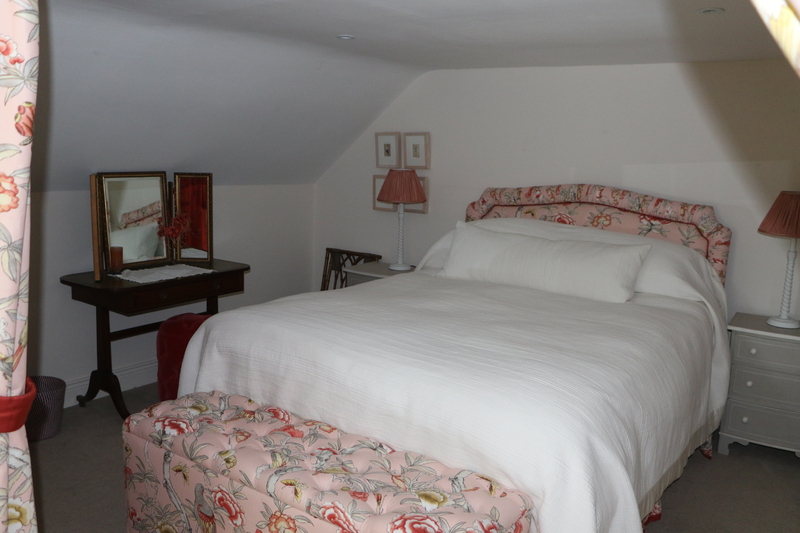 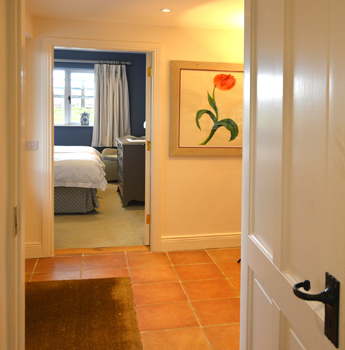 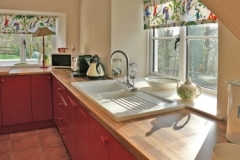 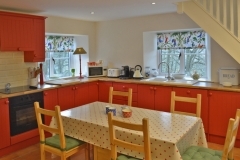 Most of the rooms radiate from the warm entrance lobby in this practical and cosy cottage. The sitting room is gracious and informal with built in units of alabaster shelving around an open log hearth. 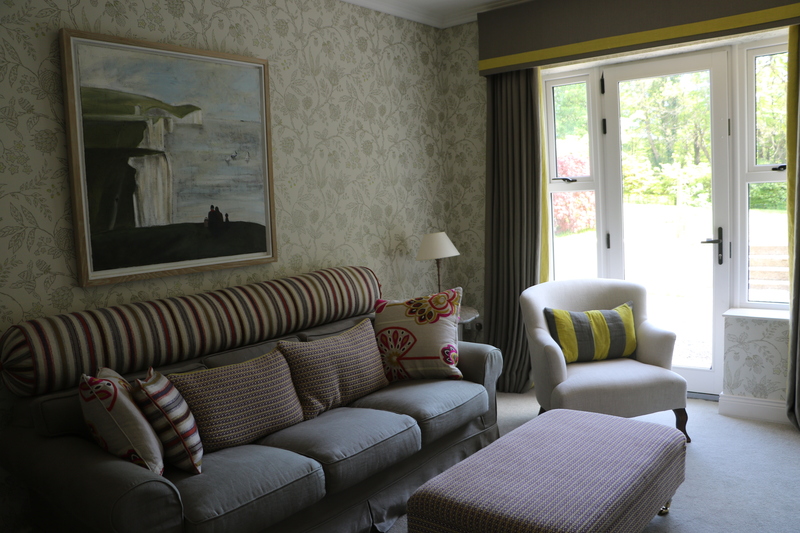 Contemporary patio doors encourage you out to a sheltered gravel terrace. 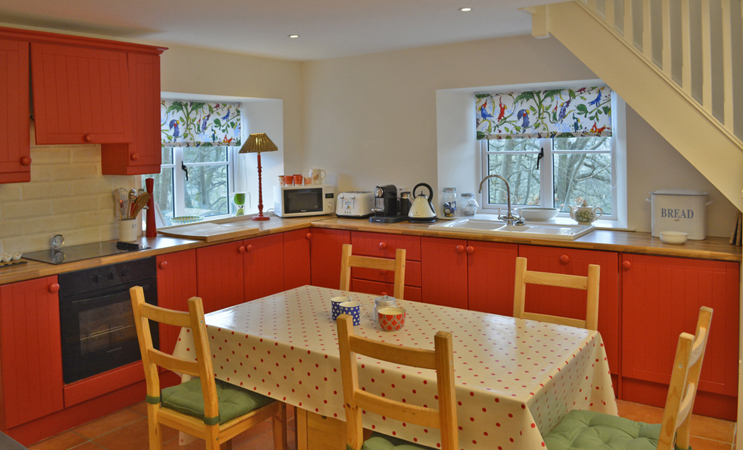 The bright kitchen, doubling as a dining room, occupies one end of the house. 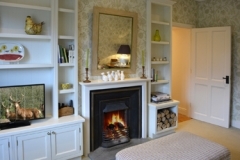 Modelled in a simple rustic style with a wood burning stove – though the cottage is never cold, there’s lots of fuel available from the estate. Terracotta red cabinets and vibrant parrot blinds bring strong accents of colour to the ivory white interior. 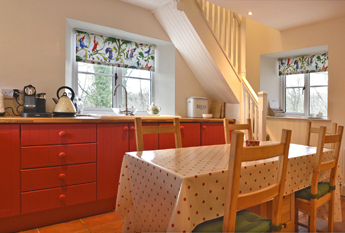 The utility room and boot lobby are off one side of the kitchen while cottage stairs rise from the other end to a dreamy double bedroom in the loft. 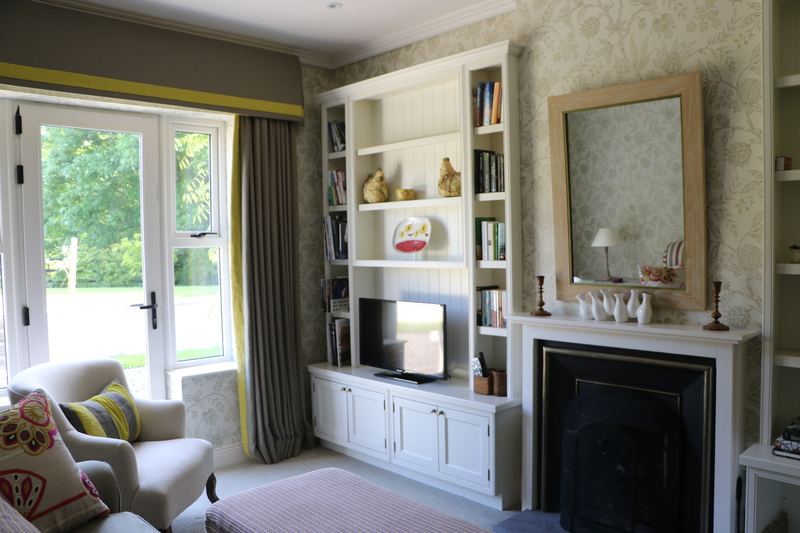 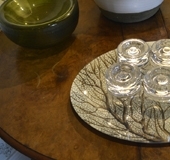 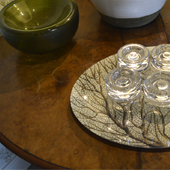 Understated, with traditional furniture and floral fabrics, typical of the restrained decor throughout this home. 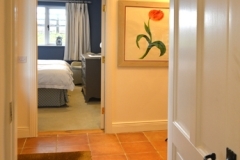 The house is equipped with everything you would expect from a five star home. 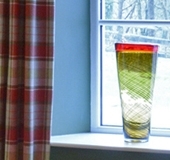 An Eco-friendly air source heat pump provides the central heating. 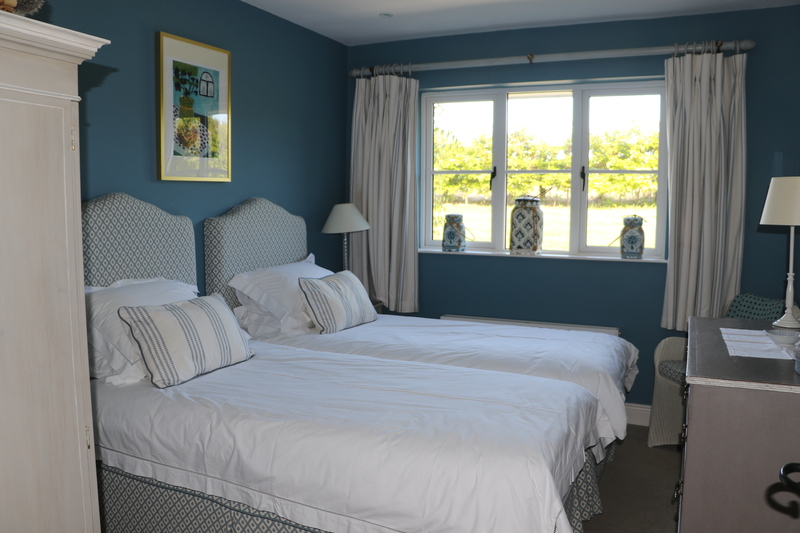 A second cobalt-coloured twin bedroom, with views beyond the rolling fields, lies opposite the bathroom to the left of the main entrance. 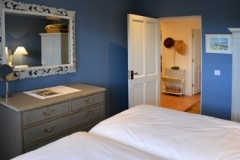 The owners retain the eponymous Georgian mansion at the centre of this private estate, but visitors are free to enjoy the elegant walled garden, impeccably reproduced Victorian glasshouse, and paddocks of grazing red deer. Children – Parts of the property may not suitable for young children, please check with us.